Tax-related identity theft can confuse and frustrate taxpayers, but the mechanics are quite simple. First, identity thieves get sensitive information about you, including your name, address, and personal tax identification number. They can either buy the information from criminal sources or trick you into giving them via phishing or scam. Then they use it to send a return using a false address or post office box and wait for the refund check to roll in. IRS, CRA or HM Revenue & Customs reject your attempt to submit your tax return. Prevent identity thieves trying to make money from your good name by submitting your return as early as possible. When they try to file for you, it will be their fraudulent return that is rejected instead of yours. This is the only best way to reduce your chance of becoming a victim of tax identity fraud. Contact your tax authorities authorize and complete identity theft paper. Fill your right returns using the instructions they give you. Contact the credit bureaus and place a fraud statement on your account. Keep excellent records of all your correspondence and filing. Add a credit monitoring and identity protection service to identify any additional identity theft or fraud in other areas of your life. Content provided by CyberScout. "What the IRS Doesn't Tell About Identity Theft", USA Today, January 2016. "Annual Fraud Indicator 2017," Crowe Clark Whitehill, University of Portsmouth and Experian, 2017. "Big Game Changer": CRA Phone Scam Revs Up as Fraud Begin Calling Cell Phones , "CBC News, Sept. 1, 2016.
 " 5 Scams That Got The Most Money Out Of Canadian Pockets Last Year, "CPA Canada, Au. 14, 2018.
 " Taxpayer Guide to Identity Theft, "IRS , 2017. 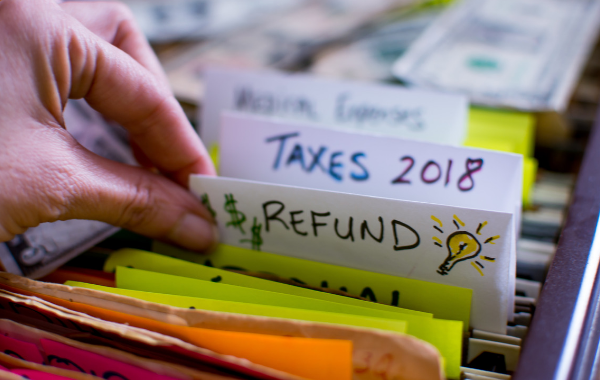 "5 Signs of an IRS Tax Scam", US News & World Report, March 22, 2018.